Do you love Kare-kare? 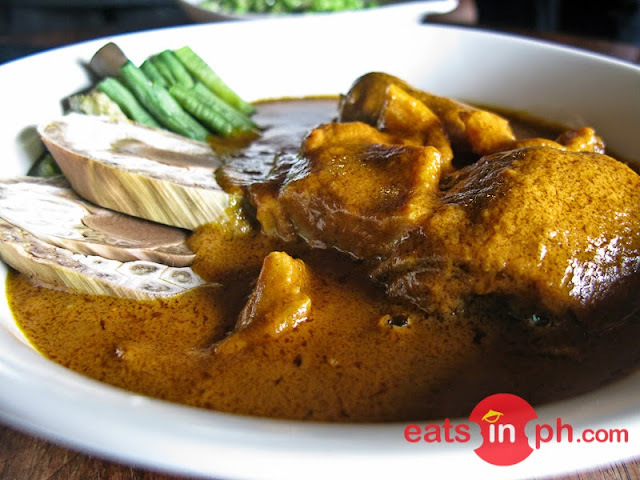 Here's Abe's Farm's delectable take on the Klasik Kare-kare. An all-time Filipino favorite, it has Oxtail and tripe stewed in rich peanut sauce with an array of fresh vegetables. It has creamy and thick peanut sauce with just the right blend of sweetness and creaminess. The veggies are fresh, crunchy and cooked just right. The bagoong (fermented fish or shrimp) on the side perfectly compliments the whole dish.